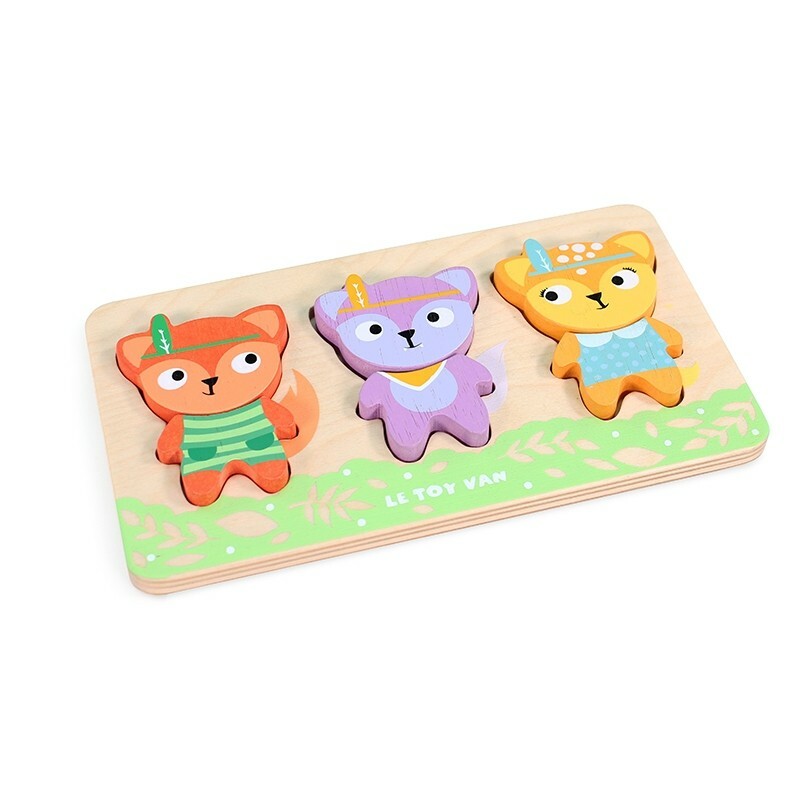 Mix and match the 6 pieces of this first puzzle toy, complete with wooden tray, a fox, a wolf and a deer. Ethically made of solid sustainable legal wood and safe water based paints. Tested for children from age 12months+. 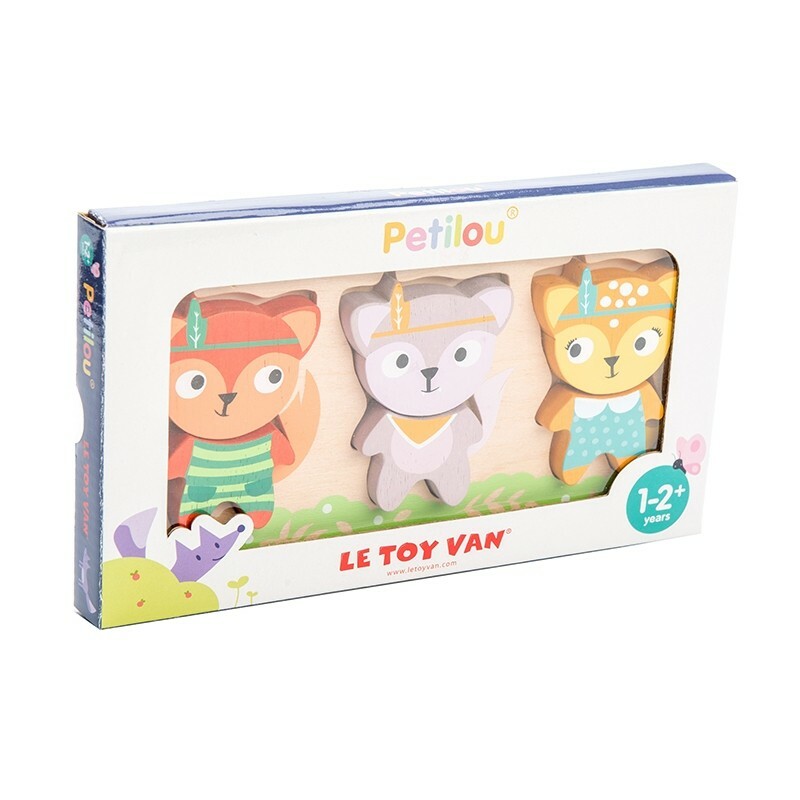 Part of the 'Petilou' Collection from Le Toy Van.